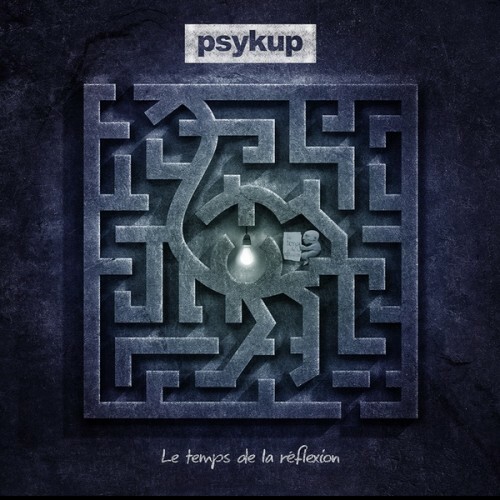 Psykup" title="Search for Psykup">Psykup is a French Metal band that existed for 20 years in 2015. The band never took any borders and melted Metal, Mathcore, Funk, Jazz, Hiphop and Avant-Garde and Rock together. Their first album ‘Le Temps de la Reflexion’ from 2002 is a highlight in French Avant-Garde metal and the band has since then a cult following, especially in France. The band split up after three records. Since then the French metal scene with bands like Gojira or Dagoba has risen enormously so the band decided to have a comeback. With their first album sold-out for years it is a good decision to give it a re-release. People will get the new version with the first EP included and three live songs from 1999. When you listen to the 75 minutes debut album you hear the talents and Psykup’s overkill of idea however vocally they shift sometimes a bit too much between clean and aggressive vocals. Both vocal styles are not the best to be heard in the genre and also the music didn’t meet the test of time because the natural flow is missing in the songs. I also can imagine that not many followers outside France will know Psykup so I don’t understand why the new version is released outside France. With respect to the bonus material: the first EP are four songs later rerecorded on the full length so not really interesting stuff. The three live songs don’t have the best sound quality; the last song ‘Syk’ Your Mind’ never made it to the EP or first album so for the true fan it is great that it’s captured here. Bottom-line: fans who are on the lookout for years to buy this album grab your chance; others can avoid the release.